Even if you keep adding to your strength stat and keep adding to the amount of weight you can carry, you will find a time when you want to pick something up but it weighs too much. If you store extra items in a house of yours not only do you lessen the chance of not being able to pick up that last item in a dungeon, but you also have all that weight from the items you stored. Buying a house may not be the first thing you do, but it should be a goal to buy one as soon as you can. 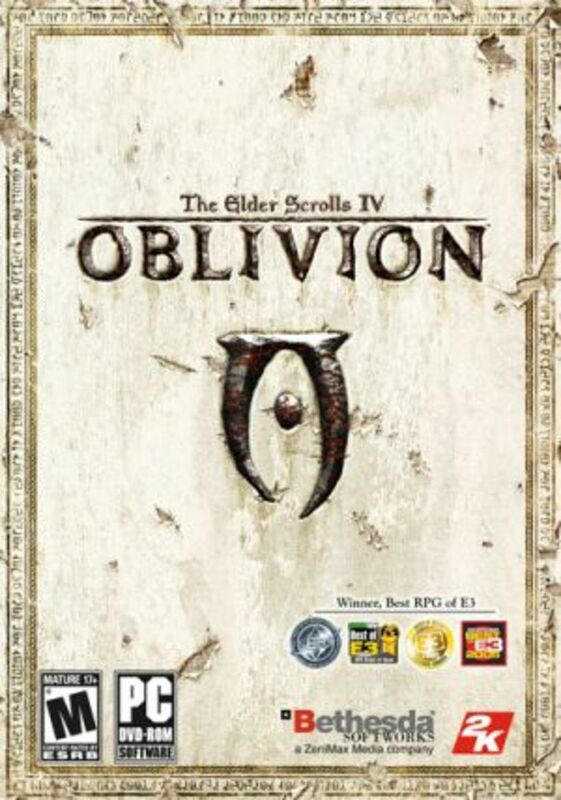 There is a house for sale in every major city (excluding Kvatch since it's burned down and all) so you can buy a house in your favorite city and call it home. Storage containers are available outside of purchased homes, even some that don't respawn so you can store items in there without worry, but the benefit of having multiple containers and the ability to organize those containers is better than using some barrel by the street. 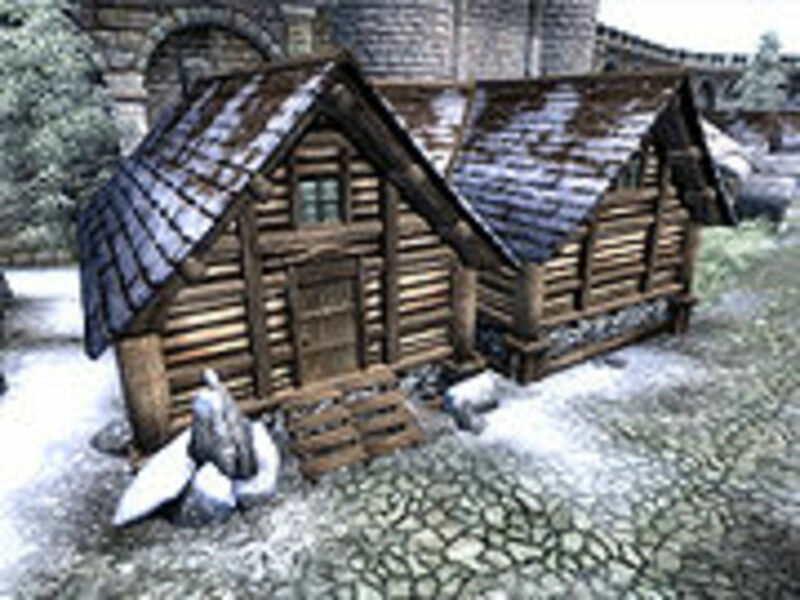 Houses also have beds you can sleep in, of course if you are in Mage or Fighting guild you have one as well but you don't have people noisily walking around like you do in the guild halls. 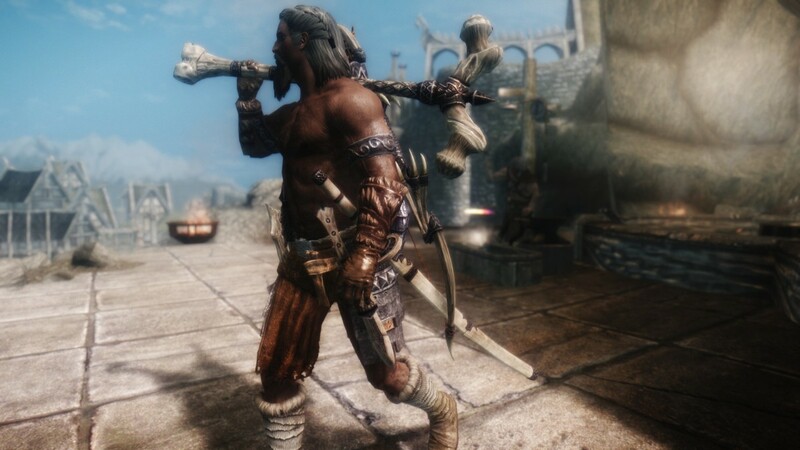 Fast traveling can occur from inside your purchased houses as well, except Anvil, so if you became a vampire you don't have to wait until night to fast travel anymore. This house when you first enter is broken down and tattered inside. It seems like a haunted house from a movie, which if you sleep in the bed is actually quite true of the house. In order for this house to become a house with storage availability you have to complete a quest and restore the Manor to it's former glory (DON'T STORE BEFORE DOING THE QUEST). The house quest is called 'Where Spirits have Lease' and indeed is filled with spirits, so complete the quest and get rid of them to show them who's boss. The house price is 5,000 and you buy the house from Velwyn Benirus. He runs off and leaves you to deal with the cursed house on your own but you will get him to come back and help break the curse so don't flip out if he goes missing. Once you complete the quest and the house is all pretty again, you can use it for storage and anything else your little heart desires. The ghost remains do leave so don't get mad when they are still on the floor after you restore the building. No upgrades are bought for this house so it is a perfect beginner house and quite cheap if you are willing to do the quest and have the ability to kill ghosts (Magic spells or silver weapons). The house in Bravil isn't exactly a large home but it has it's perks as well as it's flaws. 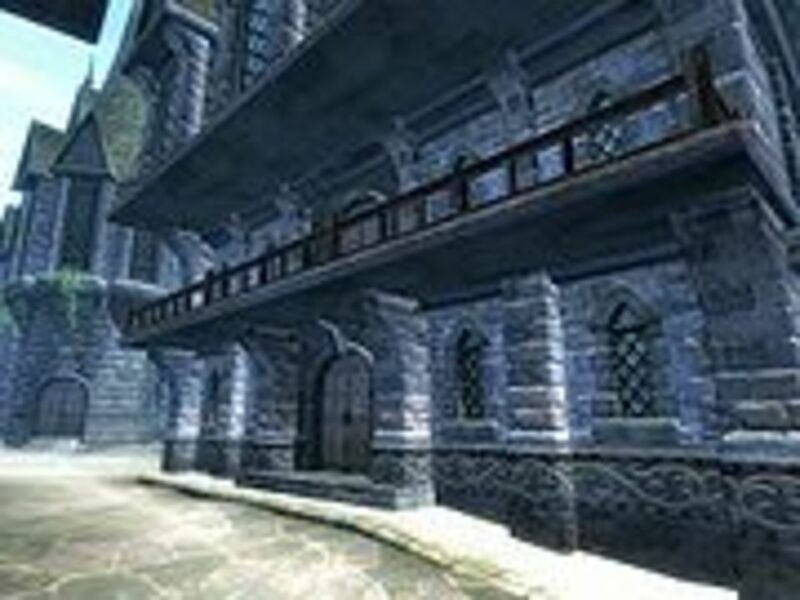 For instance if you are in the Thieve's Guild there is a fence right above you and has twice the floor space as the Imperial City Shack. You may see the red trespassing icon when you go to enter the house, just ignore it you won't be arrested or anything. This house is purchased from Count Regulus Terentius (must have disposition of 50 or more) for a price of 4,000. You can buy the upgrades from Nilawen for 650 each and a total of 3,900 gold. There are six upgrades for this little home to make it more homey but what does each upgrade give you? Dining Area gives you 2 chairs, 1 rug, and assorted pottery. Kitchen Area gives 1 food cupboard, 1 small table, 1 chair, and more assorted pottery. Racks Assortment gives just that, 2 wine racks, 2 wall mount weapon racks, and 1 freestanding weapon rack. Reading Area gives you 2 bookshelves, 1 rug, 1 chair, and 1 candelabra. Storage Area is probably your first choice and gives you 2 dressers, 1 chair, 1 chest (really 2), 1 rug, and 1 candelabra. Wall Hangings gives you 4 assorted paintings and 1 tapestry. Once you buy all the upgrades you will find the house is less of an eyesore and more beautiful, or you won't and you will just use it for storing things. 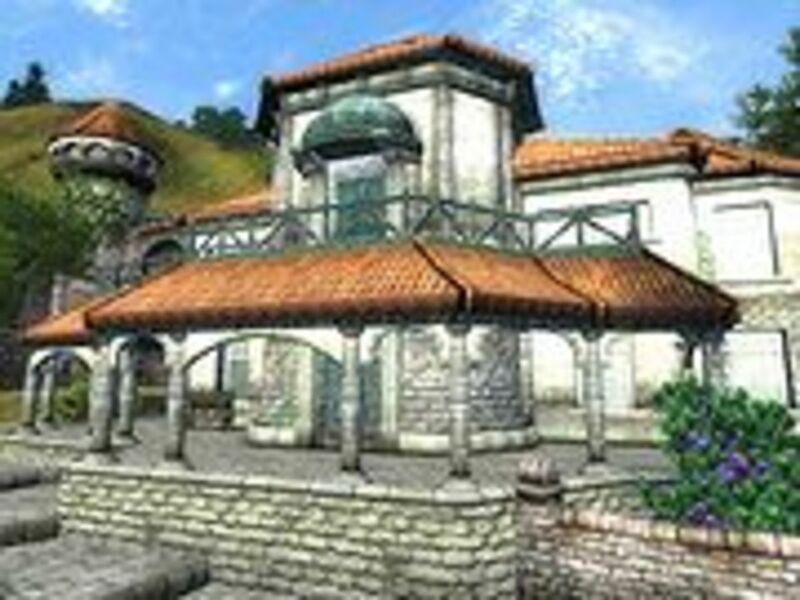 The Bruma house is a medium home with a cellar and is in good condition. 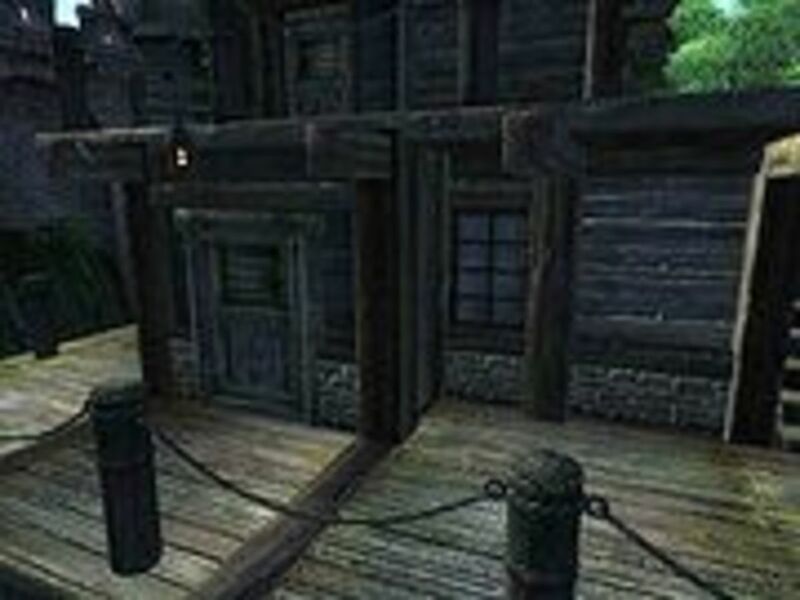 It is also across the street from the Olav's Tap and Tack in which a fence for the Thieve's Guild likes to drink so this is another good place to keep stolen goods before you sell them. It is quite dark inside even after you buy all the upgrades and is the only house without a fireplace, even though it's in the coldest area in the game. 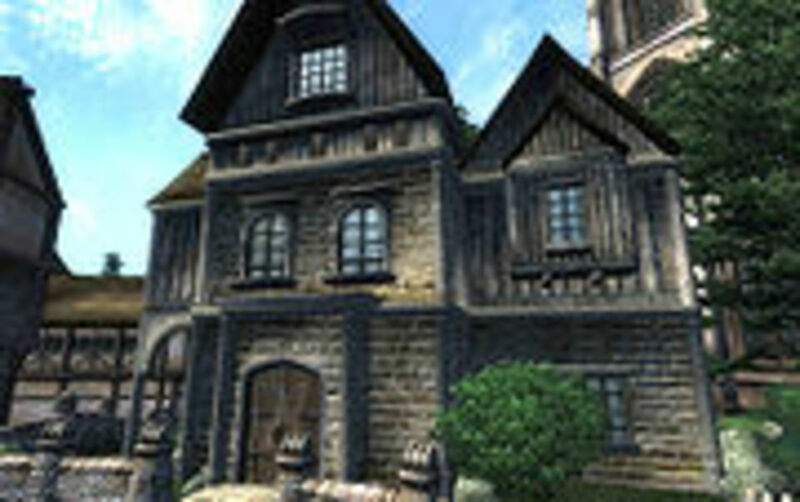 To buy this house you should go see Countess Narina Carvain and get that disposition to at least 60. It will take 10,000 gold out of your pocket to purchase and when you buy all the upgrades from Suurootan at 1,100 a pop it will take another 9,900 gold, making it quite expensive for new players. There are 9 upgrades for this house and you get quite a good assortment of goodies from them. Bedroom Area gives you 2 wall-mounted candle sconces, 1 clothing cupboard, 1 dresser, 1 chest, 1 rug, 1 candle holder, and an assortment of pottery and potted flowers. Dining Area gives 3 chairs, 1 rug, 1 set of shelves, assorted pottery and utensils, and more potted flowers. Kitchen Area delivers 1 cupboard, 1 wine rack, 1 chest, 1 fireplace rack, 1 candle holder, 1 rug, and some more assorted bottles and pottery. Lower Storage area brings with it 2 barrels, 1 chest, 1 set of shelves, 1 small table, 1 bench, 1 chair, 1 rug, and another bunch of assorted pottery. Lower Wall Hangings has 3 paintings, 3 tapestries, and 4 wall mounted candle sconces. Study Area has 2 bookshelves, 1 desk, 1 chair, 1 candelabra, and assorted candles. Upper Sitting Area gives you 2 tables, 1 bench, 1 chair, 1 rug, 1 candle holder, and some potted flowers. Upper Storage Area has 2 chests, 1 set of shelves, 1 small table, 1 candelabra, assorted pottery, and a painting that it doesn't mention in the note. Upper Wall Hangings has 5 paintings (only 4 appear in your house), 1 tapestry, and 2 candle holders. So this house seems to like the pottery and potted plants. You might need to use starlight or some other lighting method inside your home if it's a bit dark since there is no fireplace, just candles, but it is a cozy little home with a fence nearby. If you have a bit of extra money you want to spend on a great home, this is a good one to get. There are 13 containers on the second floor that are laid out quite well for someone who wants to empty their inventory or someone who forgets where they place things. It looks a bit like a castle too for those of you who see yourself as king or queen of the game. 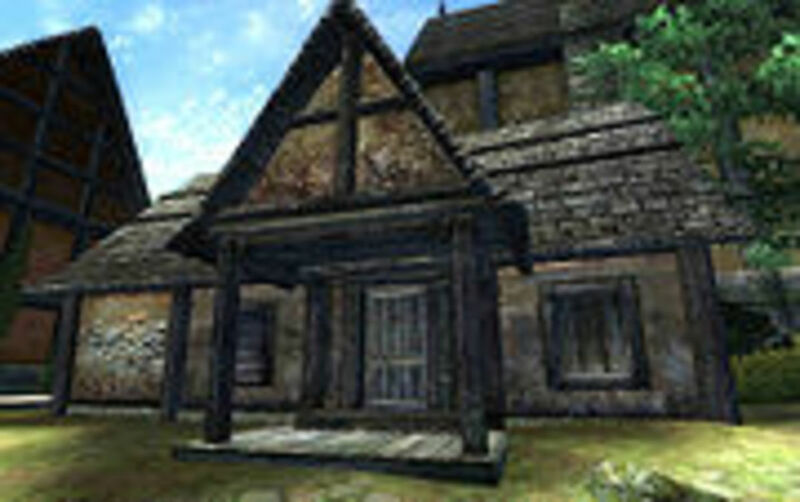 Count Andel Indarys will sell you this home for 15,000 gold if you have a disposition of at least 60 with him. The upgrades cost another 15,000 from Borba gra-Uzgash, ten of them costing 1,500 a piece. This is a great home to keep all the important items in like quest reward weapons the enemies drop or any item you have sentimental value for. Bedroom Area has 1 bed upgrade, 1 dresser, 1 chest, 1 table, 1 rug, and some assorted candles and pottery. Dining Area includes 2 chairs, 1 set of shelves, 1 rug, 1 thatched basket, and some assorted pottery and utensils. Dressing Area gives you 1 clothing cupboard, 1 dresser, 1 set of shelves, 1 chair, 1 rug, and more assorted candles and pottery. Kitchen Area has 2 cupboards (1 food and 1 drink), 1 table, 1 rug, and even more assorted pottery and utensils. Lower Wall Hangings is simply 5 paintings and 2 tapestries. Sitting Area has 2 chairs, 2 small tables, 1 bench, 1 rug, 1 barrel, and assorted pottery. Storage Area has 3 barrels, 2 wood crates, 2 chests, and some assorted candles. Study Area includes 1 desk, 1 stool, 1 bookshelf, 1 rug, 1 thatched basket, and some assorted desk accessories. Upper Hall Area delivers to you 2 wall mounted candle sconces, 2 sets of shelves, 2 candle holders, 1 bench, and assorted pottery. Upper Wall Hangings has 3 tapestries and 3 paintings. This house has three floors and even has a servant quarters upgrade although no servant can be hired here. The house itself is quite a good size and should be worth the money in the long run. To purchase this house make sure you have at least 12 fame points and a disposition of at least 70 with the Countess Arriana or she won't sell it to you. The house is 20,000 gold and upgrades are totaled at 19,400 although you can slash the prices down with Seed-Neeus if you do the quest 'A Shadow over Hackdirt'. Most are 1,800 with Middle Wall Hangings and Upper Wall Hangings costing 1,500 and the Suite Area costing 2,000 instead. Bedroom Area has 3 chairs, 1 bed upgrade, 1 set of shelves, 1 dresser, 1 clothing cupboard, 1 chest, 1 chandelier, 1 desk, and 1 rug included. Dining Area gives you 4 chairs, 1 rug, 1 chandelier, 1 wine rack, silver place settings, and silver utensils. Dining Upgrade gives you 3 tables, 2 sets of shelves, and assorted pottery. Kitchen Area has 1 cupboard, 1 barrel, 1 table, 1 stool, 1 candle holder, and assorted pottery. Lower Wall Hangings gives you 7 paintings, 5 tapestries, and 2 wall mounted lanterns. Middle Wall Hangings includes 3 paintings, 3 tapestries, and 1 wall mounted lantern. Servants Quarters has 1 bed, 1 clothing cupboard, 1 table, 1 rug, 1 chandelier, and assorted pottery but no servant. Sitting Area delivers to you 3 tables, 2 benches, 2 chairs, 1 small table, 1 cupboard, 1 large rug, and assorted pottery. Study Area has 2 bookcases, 2 small bookcases, 1 chair, 1 desk, 1 rug, assorted desk accessories, and assorted candles. Suite Area has 4 chairs, 2 tables, 1 large bed, 1 large rug, 1 rug, 1 dresser, 1 clothing cupboard, 1 chandelier, and assorted pottery. Upper Wall Hangings simply delivers 4 tapestries and 3 paintings into your home. 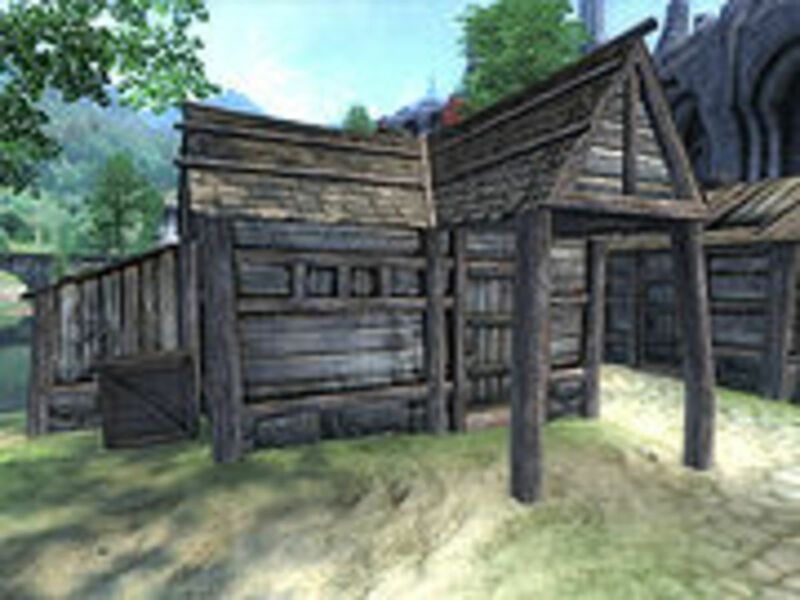 The Imperial City Shack is probably the best beginner home for young adventurers to buy. It is the cheapest home and is located near the capital so you know you will be near it more often than the rest of the homes during your journey. 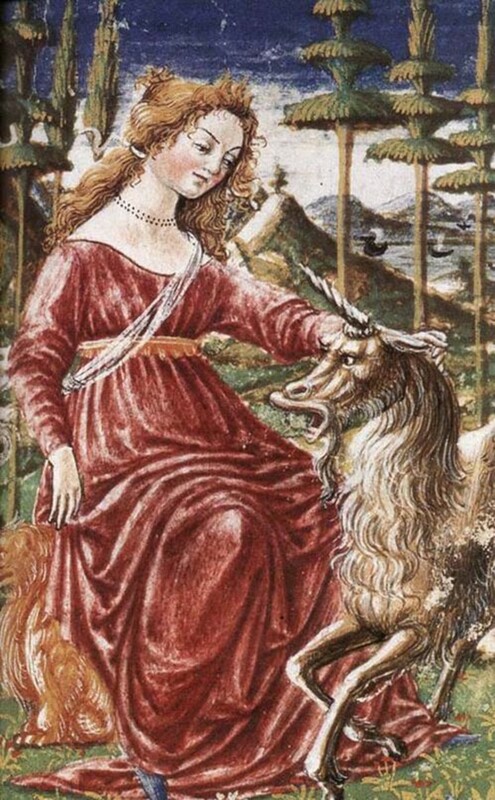 Speak to Vinicia Melissaeia with a disposition of at least 50 to buy the house for only 2,000 gold. The upgrades are purchased for another 2,000 at 400 each from Sergius Verus, but don't get too excited about the low cost. It is called a shack for a reason, the house is tiny and barely the size of a single inn room. Dining Area has 1 set of shelves, 1 rug, and some assorted pottery, utensils, and candles. Kitchen Area has 1 cupboard, 1 rug, 1 thatched basket, and assorted pottery. Sitting Aera has 2 chairs and 1 small table. Storage Area has 2 dressers, 1 chest, and assorted candles. Wall Hangings has 3 tapestries and 1 painting to brighten up the place. Overall this is a small house that you should really only buy if you want to have a house that is somewhat well placed since it is in the capital city. Remember that the box outside the shack isn't safe to store things in and is a good place if you have bounties on your head. Fast travel to Dzonot Cave (might want to locate it first, it's just west of temple district) and swim to your house to avoid guards. Then you can meet with Doyen to remove bounties that you have. This house is quite ugly, not going to be nice to it or anything, it is a rundown house and looks like it might rot and fall apart on you. It seems a bit expensive but if you want a house in Leyawiin there you go. Count Marius Caro will sell it to you for 7,000 when you have a disposition of 60 or more and the upgrades are another 7,000 from Gundalas. Each upgrade is 1,000 so there are 7 of them to buy for your pitiful little shack. Bedroom Area has 1 dresser, 1 privacy screen, 1 rug, 1 set of shelves, and assorted candles. Dining Area has 3 chairs, 1 rug, 1 candle, and assorted pottery. Kitchen Area has 1 cupboard, 1 large table, and assorted baskets. Reading Area has 3 bookshelves, 2 candles on holders, 1 chair, 1 small table, 1 rub, and 1 large privacy screen. Storage Area has 2 barrels, 1 chest, 1 basket, 1 rug, and 1 broom. Study Area has 1 Desk, 1 chair, 1 bookshelf, and 1 candelabra. Wall Hangings has 5 paintings and 2 tapestries. Finally a fancy house with lavish upgrades and a real servant to hire. There are a ton of upgrades for this house so get adventuring and collect some coin before you buy them all, unless you don't need to because you are filthy stinkin' rich. Make sure you have a fame of at least 15, a disposition of at least 70 with Shum gro-Yarug, and 25,000 gold before you waltz in to buy this home. 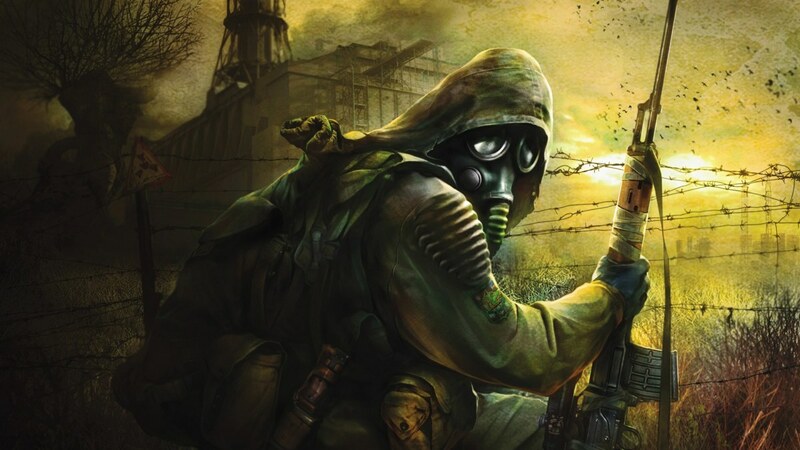 Once you do buy it, Gunder will gladly sell the upgrades for around 1,600 each and a total of 23,200 gold. Balcony Area has 2 stools, 2 rugs, 1 chair, 1 chest, 1 small table, and assorted candles. Balcony Upgrade has 2 large shelves, assorted candles, and assorted pottery. 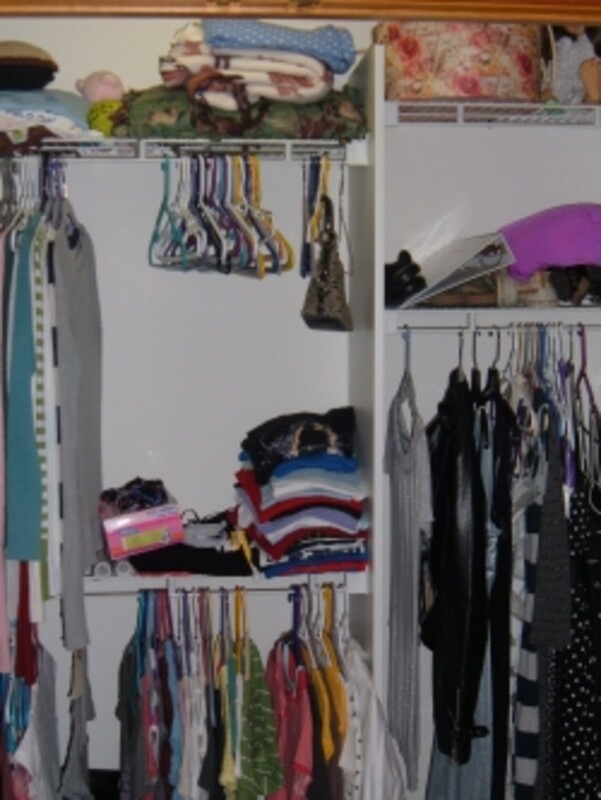 Bedroom Area has 2 clothing cupboards, 1 bed upgrade, 1 set of shelves, 1 chest, 1 dresser, 1 rug, and 1 stool. Den Area has 2 dressers, 1 desk, 1 chair, 1 rug, assorted wall mounted candle sconces, and assorted pottery. Dining Area has 3 chairs, 1 set of shelves, 1 chandelier, 1 large rug, 1 candle holder, silver place settings and utensils, and assorted pottery. Display Case Upgrade has 3 large display cases, 4 small display cases, and assorted candles. Kitchen Area has 2 cupboards (1 food, 1 drink), 1 table, 1 barrel, 1 set of scales, and assorted pottery. Lower Wall Hangings has 10 paintings and 5 tapestries to decorate your abode. House Servants Quarters has 2 stools, 1 privacy screen, 1 bed, 1 clothing cupboard, 1 table, 1 chest, assorted candles, and assorted pottery. Sitting Area has 2 stools, 2 rugs, 1 bench, 1 set of shelves, 1 table, and assorted pottery. Storage Area has 4 crates, 4 barrels, 3 chests, 2 wine racks, 1 set of shelves, and assorted candle holders. Study Area has 2 bookshelves, 1 executive desk, 1 chair, 1 chest, and decorative mini-tapestries. Upper hall Area has 2 chests, 2 chairs, 1 set of shelves, 1 small table, 1 rug, assorted candles, and assorted pottery. Upper Sitting Area has 2 stools, 2 chairs, 1 table, 1 chandelier, and assorted pottery. Upper Wall Hangings has 6 tapestries and 5 paintings. if your character is more inclined to fight than cast spells the fighter's guild would be a good choice. This guide will help you rank up in the guild and even gives some tips on money and secret options that i know about. The thieves guild's quests to help you rank up to master thief. May not have all the quests but it has the ones that you rank with as well as some basic help with stealing items and where the fences are.